Hi!!! I’m back! I feel like I haven’t posted in forever, but…. I checked- It’s only been a week. It’s just that so much has happened that every day felt 10x longer. With that said… Onto the food!!! I LOVE Cantonese roasts and dimsum. 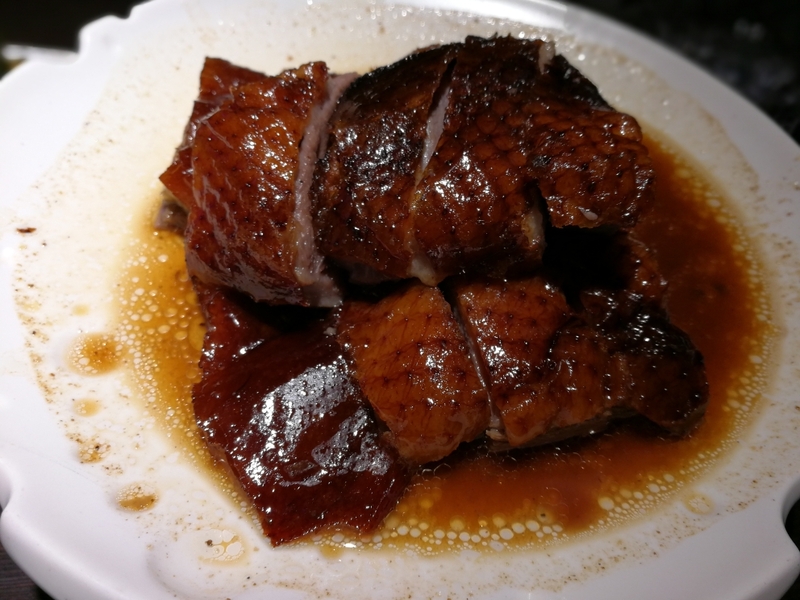 Few things make my happier than crackling the skin of a roast pigeon or savoring the umami of a fresh har gao. I’m always excited when I spot a new place that sounds even half way decent. So, when my bus driver happened to pass by a sign advertising a 1 Michelin Star dim sum place, I was going. 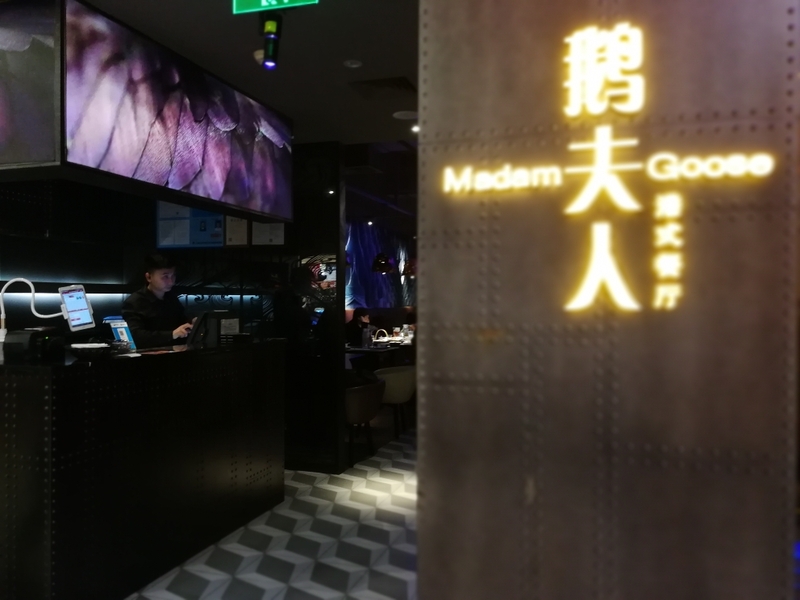 Madam Goose has several locations in Shanghai and Beijing. 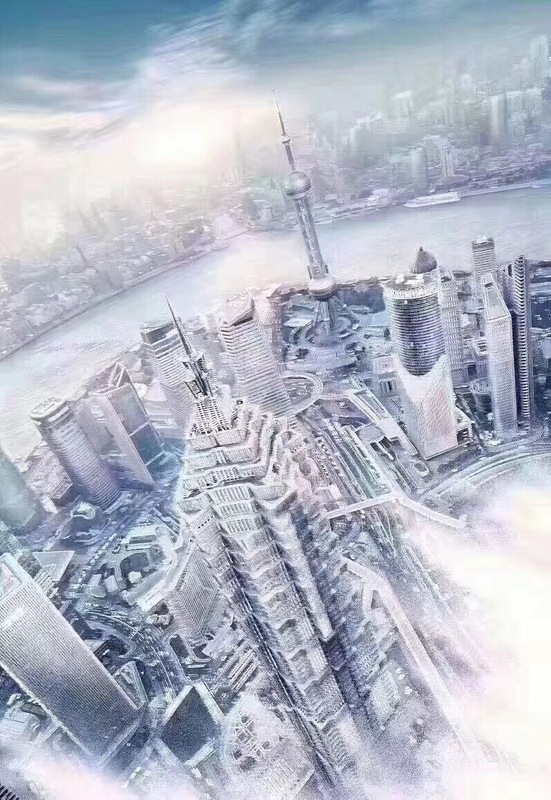 The XinZhuang location got the star, but as a chain, food quality shouldn’t vary. The Paris Spring Plaza location was less than 2km from our neighborhood, so that’s the one we went to. Slightly soft eggs are my favorite, so I was very happy that this was on the menu. I was thoroughly impressed. The yolk was “candy centered”- the delicious state between soft and hard boiled- as promised. I was honestly expecting a plain egg, but to my surprise, the egg did not only have an extremely aromatic tea egg taste, the taste penetrated through the yolk! 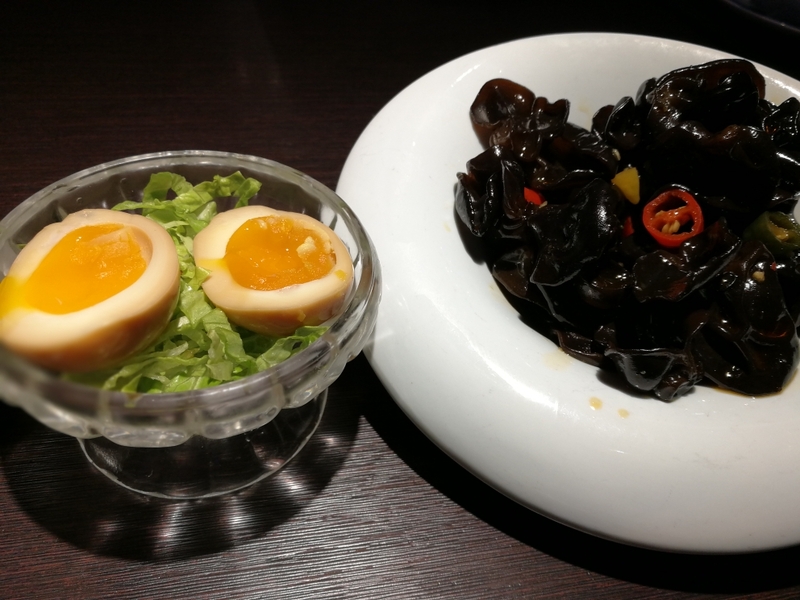 Spicy wood ear mushrooms is just a stock appetizer dish, nothing special here. My dad, as a spicy stir fry kind of guy, found it to be the saving grace of the dinner. 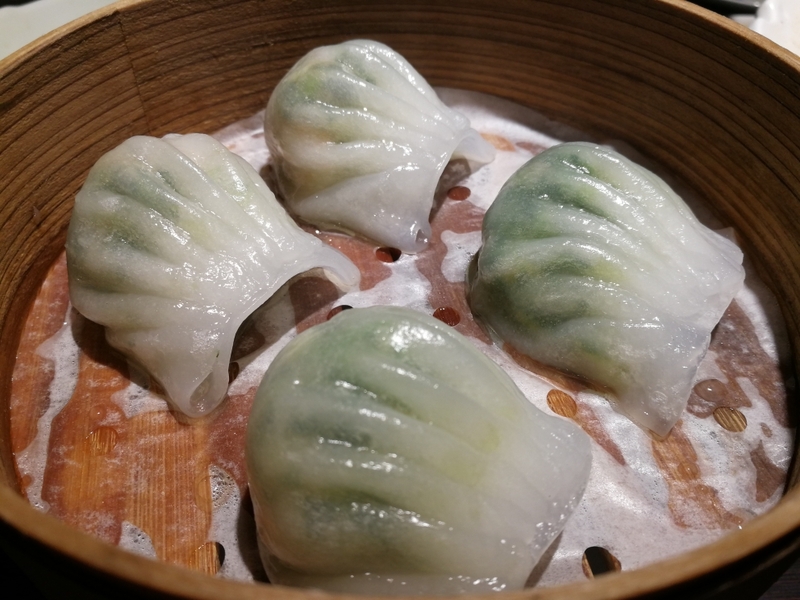 Har Gao is a must try for me at any dim sum place. 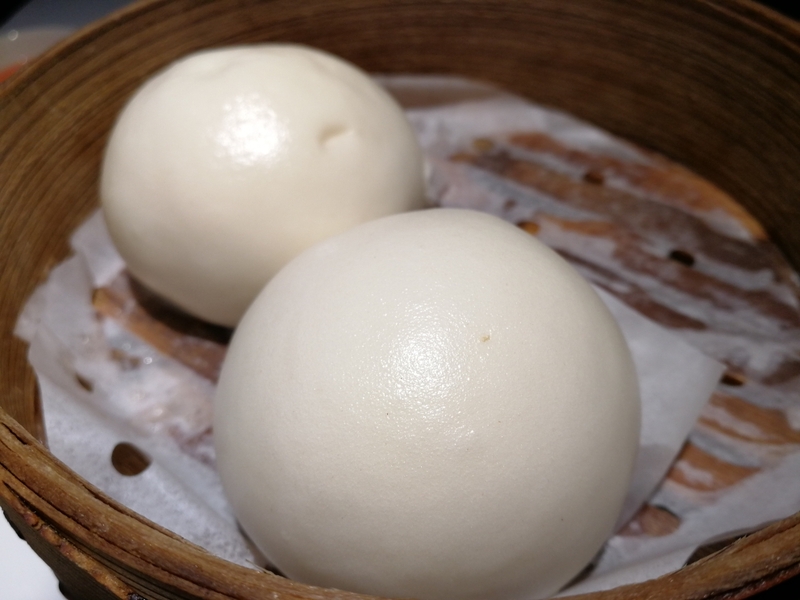 While my expectations were high, these har gao were mediocre. 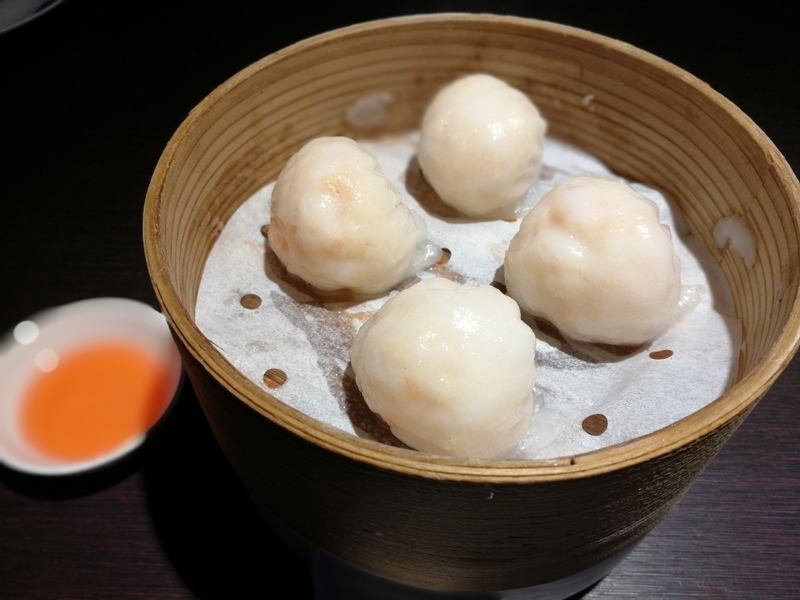 The shrimp was fresh and the dumplings were very umami. However the flavor got monotonous and the skin was a bit tacky. Some bamboo shoot or water chestnut to add a fresh, textural contrast would have elevated the dish. 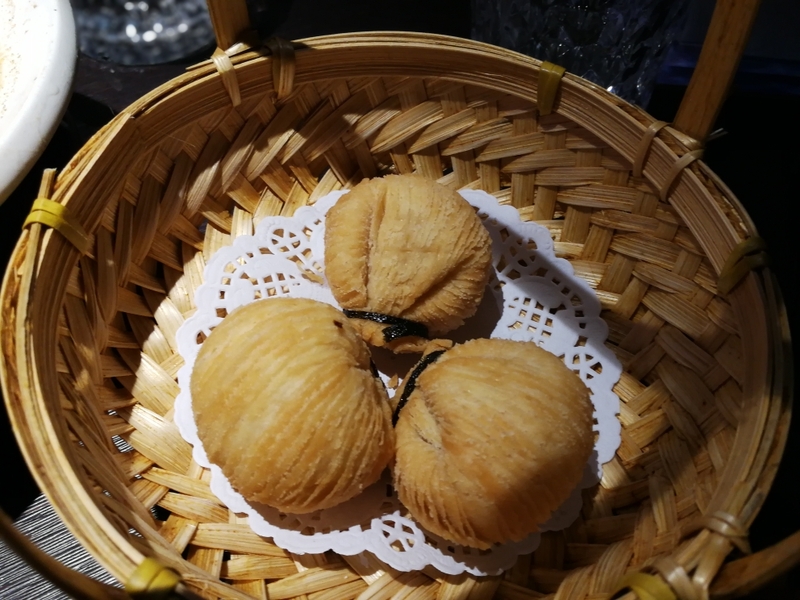 The Har gao may have disappointed, but these little babies were literally the highlight of the meal. First, pea shoots are in season right now and I’ve been impressed with every version of these dumplings. Like the other versions I’ve tried, the pea shoots provided an aromatic and fresh kick, but Madame Goose kicked it up a notch by incorporating shrimp and a bit of pork fat. These additions complimented the natural fragrance of the pea shoots to shoot flavor through the roof. Durian pastry, if done right, are one of the most delicious and decadent desserts. Unfortunately, most versions offered fail to remove the horrendous, rotting, aftertaste often associated with durian. These pretty little babies were anything but horrendous. The durian was fresh, but tempered so the filling was incredibly rich, sweet and aromatic without any of the stink. What really set these bites apart was the incredibly light and crunchy “thousand layer” puff pastry. The textural contrast really balanced out the rich filling. The durian pastry were good, but this dish was the true highlight for my mom. The bun itself was thin and the center was gooey and rich but not too sweet or cloying. My mom rated these higher than the Pullman’s version! The restaurant’s name in Madam Goose, so of course I HAD to try the roast goose. Since we wanted to maximize variety, I ordered the 68rmb 1/6 goose. 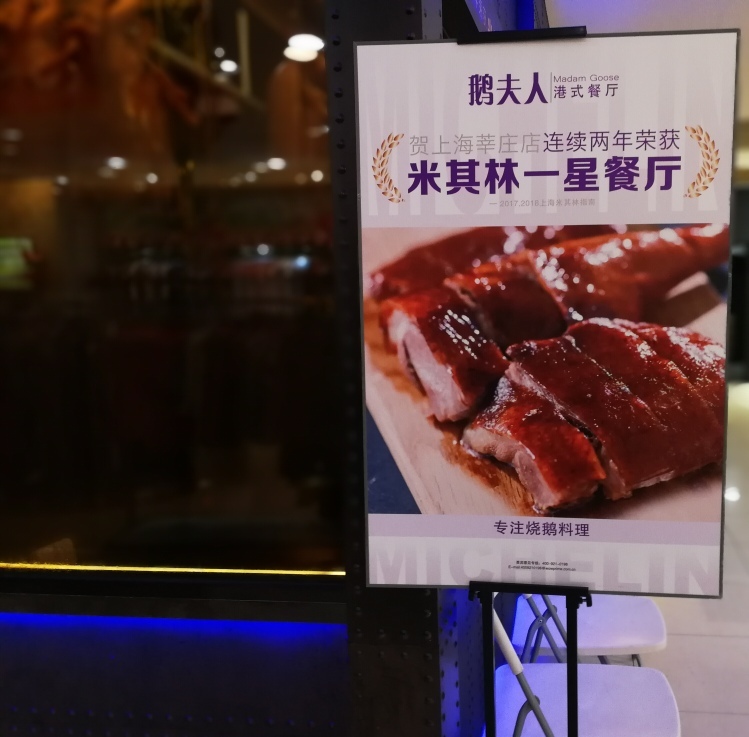 For the hungrier, they offer 1/4 goose for 88rmb, add 8 RMB and you get the leg. Then there’s a half and whole options. Anyways, how was it? 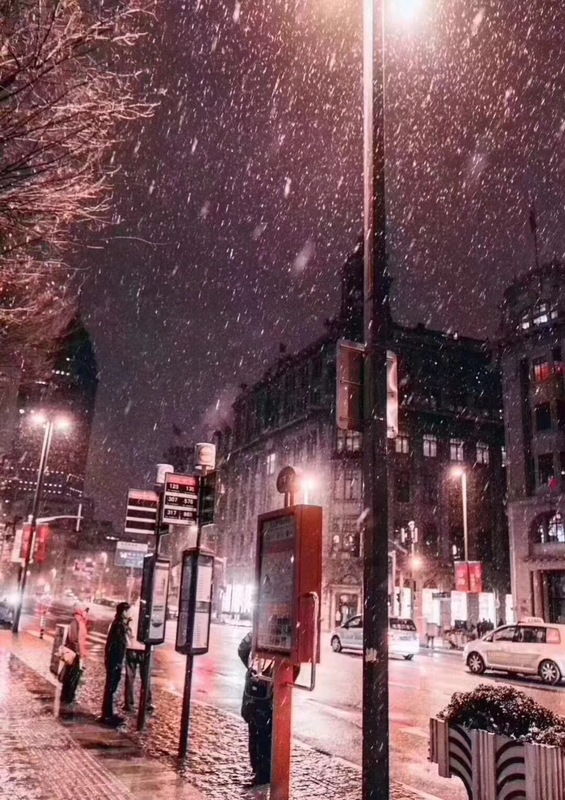 Honestly, nothing special. Sure it was well seasoned and tender, but the skin definitely could have been crispier. Also, it was too fatty for my tastes. 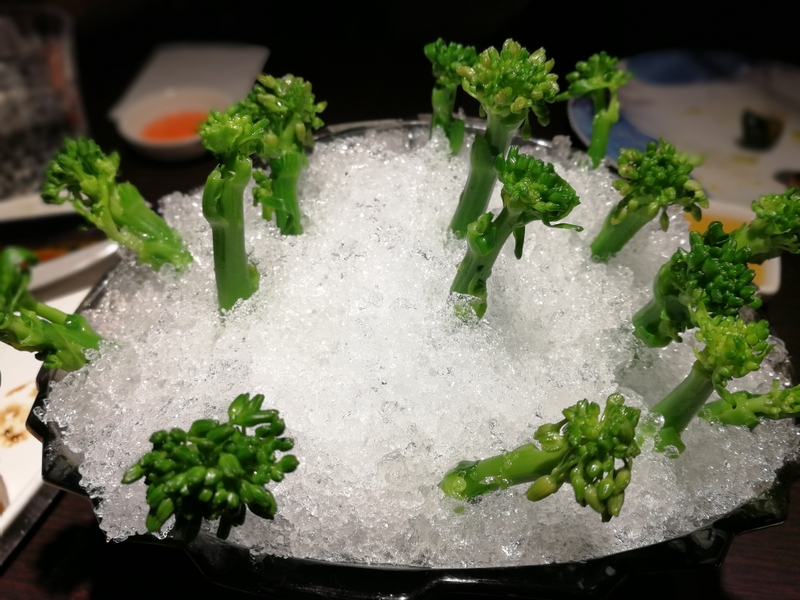 Of course there is much more to the menu that we regretfully didn’t get to try…. The service and atmosphere were probably the most surprising and coolest parts of the experience. 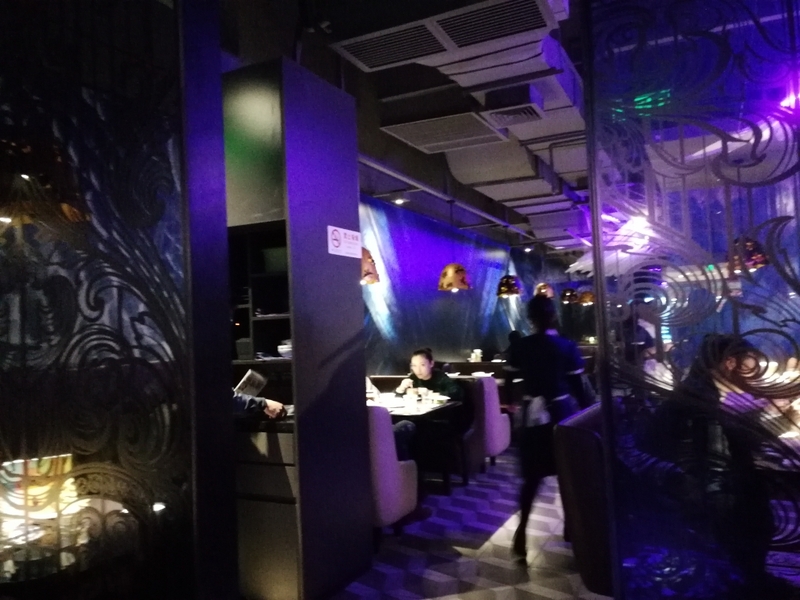 I expected a pretty bright, busy, traditional Chinese style restaurant, but instead found a swanky, upscale, almost loungelike environment. The decour, featuring bright goose themed decorations, paired with the dim lights to create an almost surreal feel. Service was also a lot faster and better than expected. 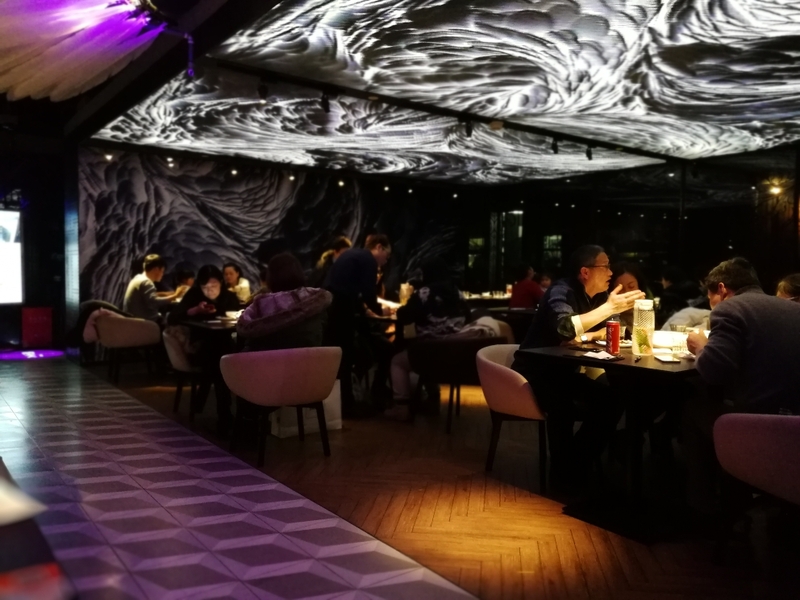 Although the restaurant was busy, the appetizers came with 10 minutes and the gap between subsequent dishes was no more than 10. This pacing worked very well as our table was never too crowded nor were we ever staring around waiting for the next dish.